Levittown, NY - March 20th, 2015 - The Second Squad reports the arrest of a Levittown man for an Assault that occurred on Thursday, March 19, 2015 at 11:10 a.m. in Levittown. According to detectives, a female victim, 22 years of age, was operating her 2003 Ford Mustang westbound on Hempstead Turnpike in Levittown when she became involved in an incident with the defendant Robert W. Anderson, 58 of Drake Lane who was operating his 1996 Ford Taurus. Anderson began following the victim aggressively as they travelled west. When the victim stopped for a traffic light at Hamlet Road the defendant failed to stop, striking the rear of the victim’s vehicle. The victim exited her vehicle to take a photo of the defendant’s car at which time he maneuvered his car around the defendant striking her in the knees as he fled the scene westbound on Hempstead Turnpike. The incident was observed by a witness who followed Anderson and notified police of his location on Blacksmith Road where he was placed under arrest. The victim was treated at the scene for minor neck and knee injuries. Anderson is charged with two counts of Assault 2nd degree, Criminal Mischief and Leaving the Scene of an Auto Accident. He will be arraigned on Friday, March 20, 2015 at First District Court in Hempstead. 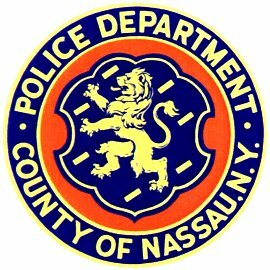 Subject: LongIsland.com - Your Name sent you Article details of "Levittown Man Arrested for Assaulting Woman in Hempstead"